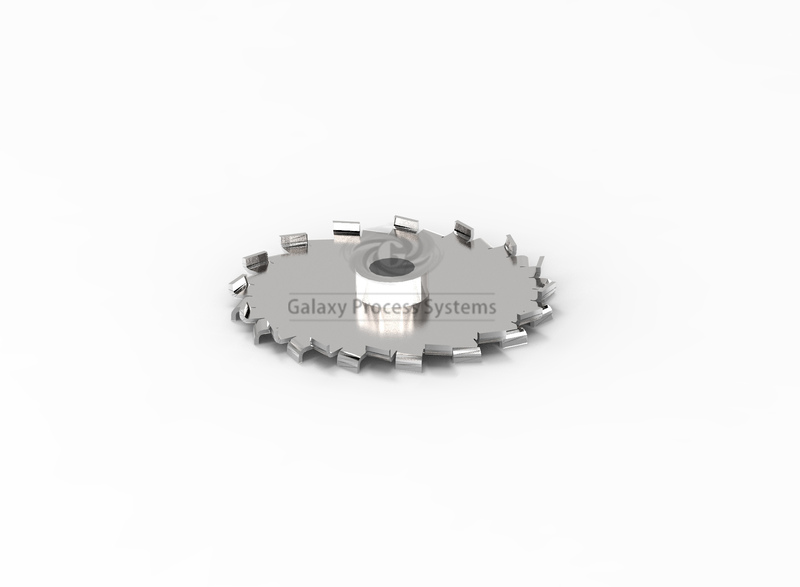 The RXF-500 cowl disc impeller provides high shear rates. It is generally used in conjunction with a high flow impeller in applications involving a combination of blending and a need for physical change created by fluid shear. 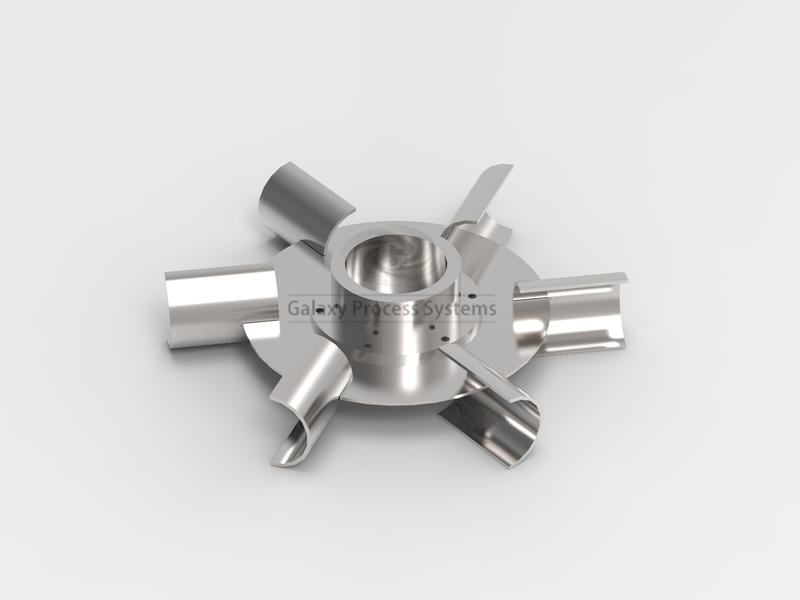 These Impellers are used typically for High Shear Applications for dispersing the fine solids. RXF-100 is standard Rushton Turbine impeller with combination of 6 flat vertical blades also available with 4 and 8 blade options, dependending on the application. They are useful in low concentrations of immiscible liquid or gas. Strong vortices are produced from each blade which produces high amount of shear. 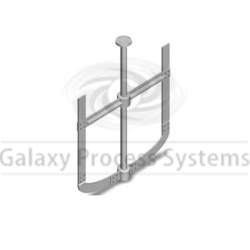 These high shear areas provide larger surface by breaking the large droplets in small. RXF-130Smith Curve is a second generation turbine impellerwith combination of 6curved blades also available with 4 and 8 blade options, dependending on the applicationgas and immiscible liquid dispersion impeller. The RXF-130 can handle about 2 times the maximum gas capacity then RXF-100 impeller. RXF-130 requires low power under gassed conditions. The RXF-130 impeller can handle a larger gassing duty before flooding. Two bladed anchor for higher viscosity applications.The two bladed anchor impeller has applications in blending and particularly, heat transfer, where the viscosities range from 10000 to 100000 centipoise. 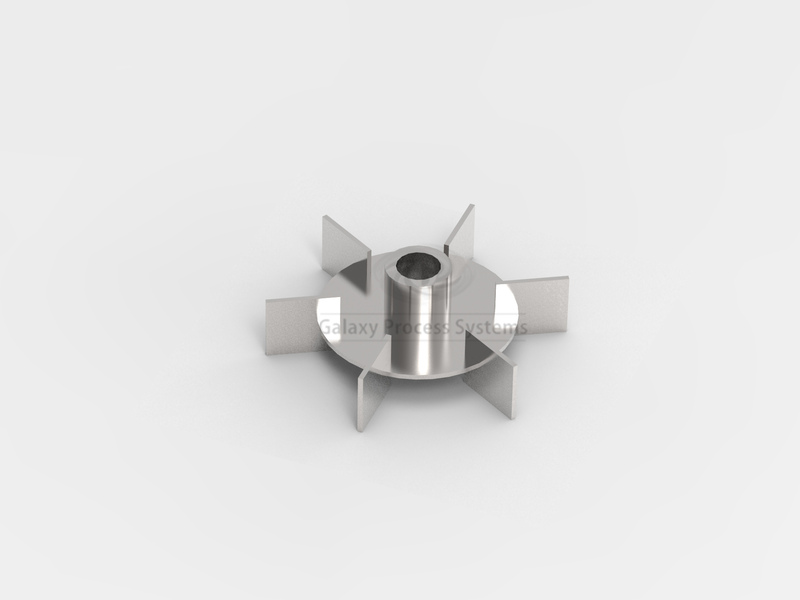 The anchor impeller is the most economical laminar flow impeller. It is the easiest high viscosity impeller onto which scrapers can be mounted for very difficult heat transfer applications.